Former Louisville coach Rick Pitino has done everything to protect his name in the ongoing FBI investigation that has shrouded college basketball. 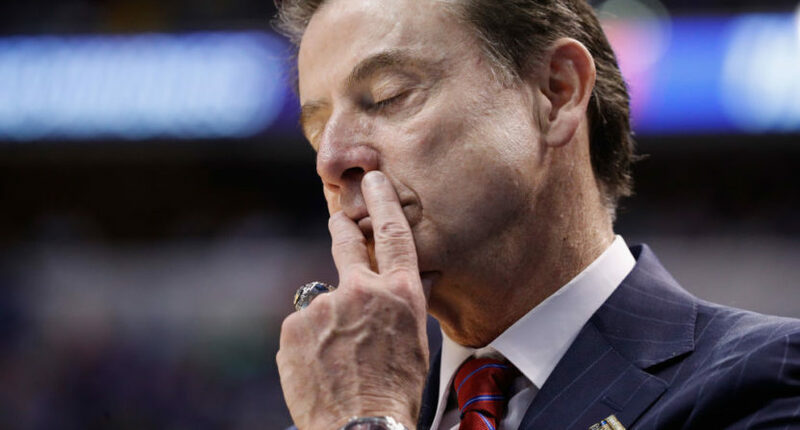 He denied knowledge of any wrongdoing when news first broke that Louisville had funneled a $100,000 bribe to five-star recruit Brian Bowen, and then took a lie detector test. The Pitino PR machine has its work cut out again as a recently unsealed indictment alleges Pitino was a direct and knowing participant in funneling money to Bowen’s family, as NBC’s Tom Winter pointed out earlier Wednesday. According to a wiretapped conversation referenced on page 15 of Gatto’s indictment, former sports agent Chris Dawkins, who was among the first set of indictments, said he asked “Coach-2,” widely reported to be Pitino, to call Adidas executive Jim Gatto and request the bribe, and “Coach-2” agreed. That’s not be concrete proof that Pitino actually made the call to Gatto, but with the current information there’s no reason to think Dawkins made up his conversation with Pitino. According to the FBI, phone records show a number associated with Pitino made three calls to Gatto before Bowen surprisingly committed to Louisville in June. Pence said federal investigators reviewed Dawkins’ phone calls from their wiretap and looked at Pitino’s phone records. Pitino is going to continue to deny and deny, because there’s no percentage in it for him to admit anything. But the more documentation that emerges, the more it becomes harder to believe that Pitino was shocked, shocked to find anything untoward in his program. Then again, it was pretty tough to believe that from the start.